All individuals over the age of 18 residing in the participating countries of United Kingdom or Ireland are eligible to participate in the advent calendar sweepstake. Employees of the organiser and/or employees of companies associated with the organiser are barred from participating. Open one window of the advent calendar per day during the promotion period. Register with your first and last name and e-mail address under “Sign Up To Win”. Submit your registration in order to participate. By participating, you, the participant, are agreeing to the terms and conditions of participation set forth herein. You may only participate once daily during the promotion period. 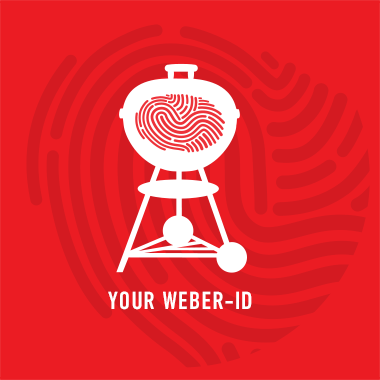 You’ll receive a chance to win selected products and accessories—all of which make great gifts—from our current range of Weber products. Cash payments, exchanges or the transfer of winnings to a third party are strictly prohibited. The promotion period is set for 1st to 24th December 2018. The entry deadline is 24.12.2018. Winners will be selected daily or weekly (organiser’s choice) throughout the promotion period. These winners will be notified by email by first week of January latest and will be sent the gifts by the end of February 2019 latest. The participants are responsible for the accuracy of the contact data provided. The organiser assumes no liability for the timeliness, completeness or correctness of transferred participant data. Should the contact data provided be inaccurate, the organiser is in no way required to ascertain the correct addresses. Any detriments that may arise from inaccurate contact data will be borne by the participant entirely. In the event of any disputes which may arise regarding the identity of the registered participant, the entitled account holder of the email address used during registration will be deemed to be the participant. The entitled account holder is an individual assigned by an internet provider, online service or individual responsible for the allocation of email addresses at the organization behind the domain name of the address provided. The potential winner must also prove, if applicable, that he or she is indeed the entitled account holder. There is no right of appeal. The organiser retains the right to disqualify those participants, who in any way manipulate or attempt to manipulate the participation process or the sweepstake itself, especially in all cases of hackers fraud, or who violate the conditions of participation set forth herein. The organiser explicitly indicates that the availability and/or function of the sweepstake cannot be guaranteed. The sweepstake can be terminated or removed due to extenuating circumstances without any claims on the part of the participant towards the organiser arising. Termination may be necessary due to technical problems, rule changes or decisions made by platforms such as Facebook, Instagram or Twitter. The organiser is the data controller for the personal data collected and processed during the sweepstake. The organiser will comply with all relevant data protection regulations as amended. Data transferred to the organiser as a result of participation in the sweepstake will be stored, processed and used by the organiser to conduct and process the sweepstake. Furthermore, the storage, processing and use of the data will only occur in cases where the participants have provided their express consent via email. In particular, data will only be transferred to a third party, insofar as such transfer is necessary in order to carry out the sweepstake. Should you do so, your data will be deleted immediately. Your continued participation in the promotion, however, will no longer be possible. You retain the right to request at any time the disclosure of any and all of your personal data stored by the organiser. Should you no longer agree to the storage of your personal data or if they are no longer accurate, you may direct the organiser to delete, block or amend your information as necessary. You may object to the use of your personal data for promotional purposes at any time. Participant data will be deleted after the sweepstake has ended and any processing associated therewith has been completed, unless you gave your explicit consent to use the data for further purposes as defined separately. The organiser, its bodies, employees or agents are liable according to statutory provisions for damages arising from or in connection with the sweepstake as far as the following provisions do not state differently. The organiser, its bodies, employees or agents are liable without limit for loss or damage caused by intent or gross negligence by the organiser, its legal representatives or agents. The organiser, its bodies, employees or agents are also liable without limit under mandatory statutory provisions. The organiser, its bodies, employees or agents are always liable without limit for damages in cases of culpable injury to human life or health or personal injury. Liability for loss or injury caused by slight negligence by violating a primary or substantial obligation (an essential obligation which makes possible regular performance of the legal relationship and which the other party to the legal relationship can regularly rely on) is limited to typical and foreseeable damages. In other cases, the liability for slight negligence is excluded. Participation in this sweepstake and any legal relationships arising therefrom between the organiser and the participants including these terms of participation will be governed by the laws of the participating country in which the participant resides.